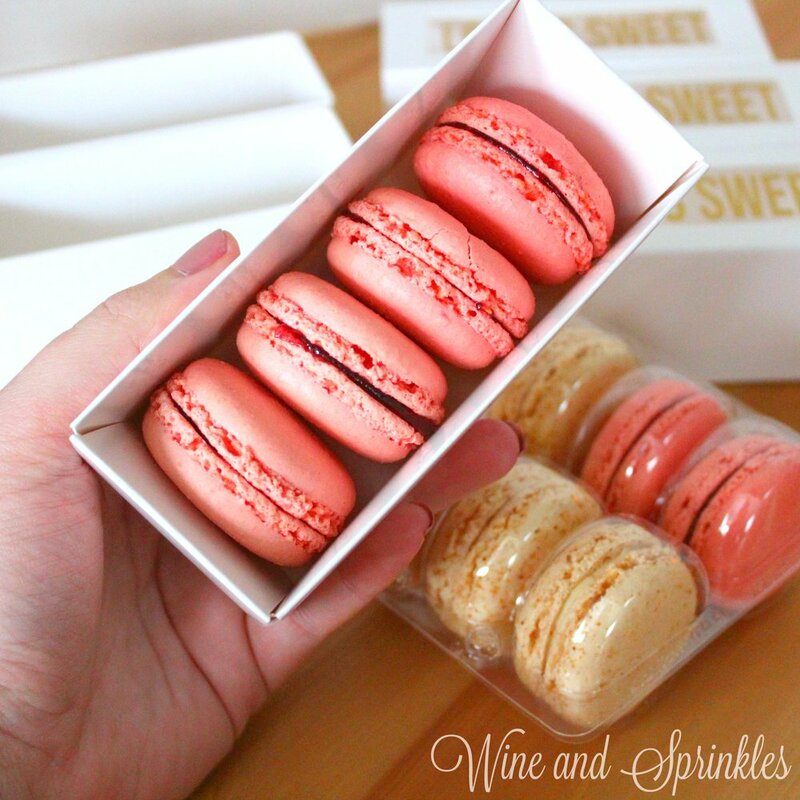 It’s the season of love everyone and nothing says love to me like macaroons! 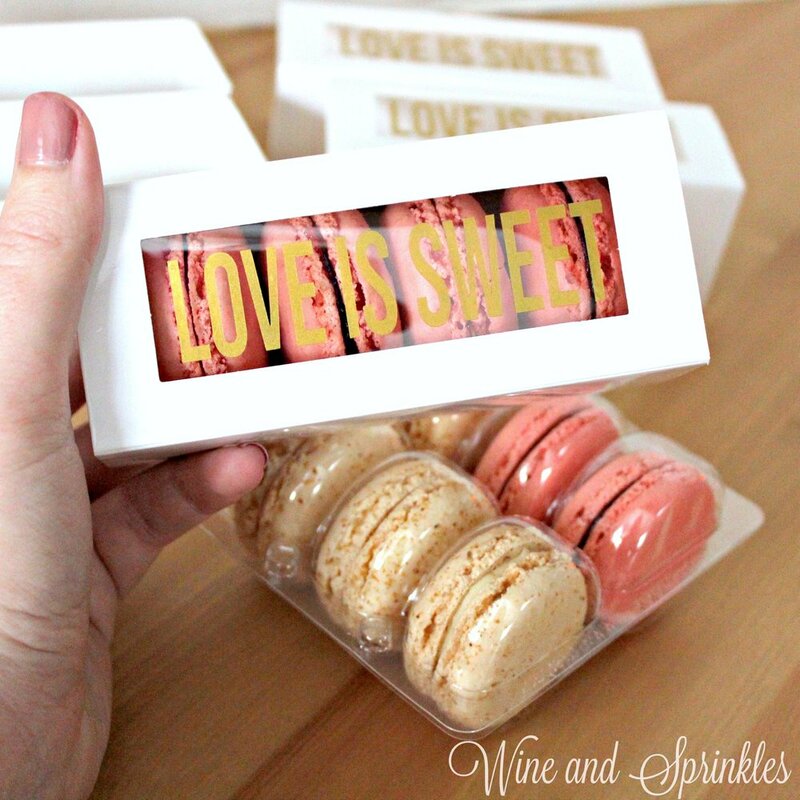 These pretty french cookies are light, sweet, and a perfect classy edible favor! 3. Once the designs are cut, weed away the extra vinyl and cut a piece of transfer tape to 1" x 4". Cut away any excess backing from the vinyl design and smooth transfer tape over the design, aligning along the bottom of the text, as shown below. Using the smoother tool, smooth the tape to the vinyl, removing any air bubbles. 4. Remove the transfer tape from the backing, lifting the design from the backing to the transfer tape. 5. Aligning the transfer tape along the top edge of the clear window on the sleeve of the box, place the design in the middle of the window. With the tape aligning the top, I was able to center it in the window pretty easily and its also decently forgiving if its not exactly right, as long as the top is aligned. 6. Smooth the design on the window, using your fingers to smooth each letter onto the plastic. 7. Remove the transfer tape, leaving the design on the sleeve. 1. Start by folding all of the lines on the box, as shown below. This will make the box easier to bend later and help you see how it goes together. 2. Taking the long edge, tuck in the two short middle flaps on the side, then fold over the wall and tuck the edge flap under the wall, forming the lengthwise wall as shown below. Repeat for both lengthwise walls. 3. Taking the end flaps on each of the lengthwise walls, hook them together to form the shorter wall of the box. once they are locked in, fold the last side flap over the wall, tucking the end flap under to complete the short wall of the box. 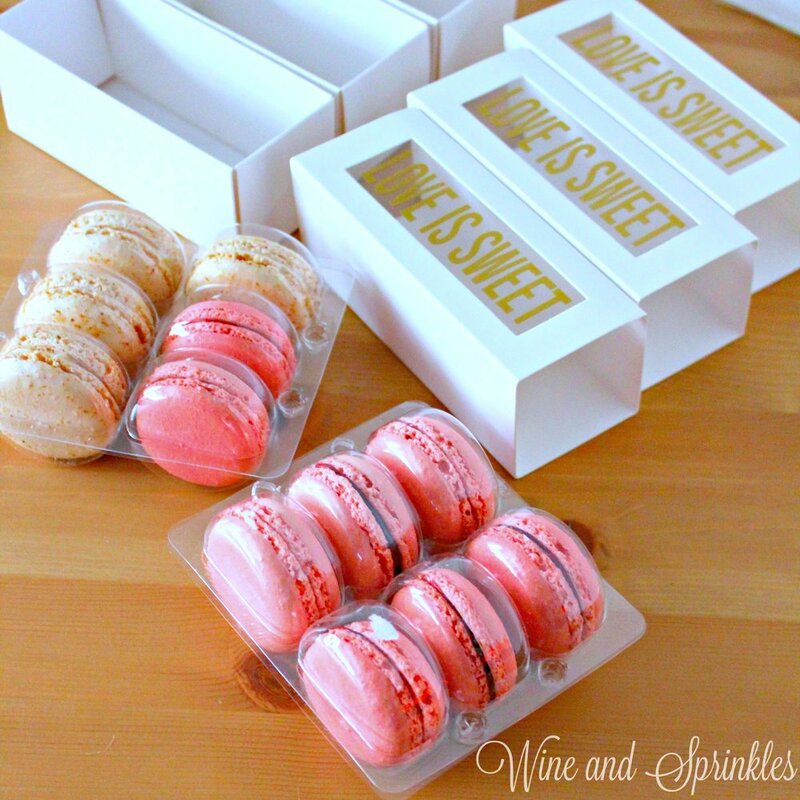 While these boxes are intended for macaroons, they can be filled with any sweets that you like and still work wonderfully for your event, whether its a wedding, bridal shower, or even a Galentines Day Party!